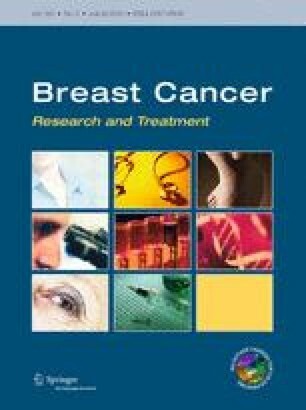 African-American (AA) women have higher breast cancer-specific mortality rates. A higher prevalence of the worse outcome Basal-like breast cancer subtype contributes to this, but AA women also have higher mortality even within the more favorable outcome Luminal A breast cancers. These differences may reflect treatment or health care access issues, inherent biological differences, or both. To identify potential biological differences by race among Luminal A breast cancers, gene expression data from 108 CAU and 57 AA breast tumors were analyzed. Race-associated genes were evaluated for associations with survival. Finally, expression of race- and survival-associated genes was evaluated in normal tissue of AA and CAU women. Six genes (ACOX2, MUC1, CRYBB2, PSPH, SQLE, TYMS) were differentially expressed by race among Luminal A breast cancers and were associated with survival (HR <0.8, HR >1.25). For all six genes, tumors in AA had higher expression of poor prognosis genes (CRYBB2, PSPH, SQLE, TYMS) and lower expression of good prognosis genes (ACOX2, MUC1). A score based on all six genes predicted survival in a large independent dataset (HR = 1.9 top vs. bottom quartile, 95 % CI: 1.4–2.5). For four genes, normal tissue of AA and CAU women showed similar expression (ACOX2, MUC1, SQLE, TYMS); however, the poor outcome-associated genes CRYBB2 and PSPH were more highly expressed in AA versus CAU women’s normal tissue. This analysis identified gene expression differences that may contribute to mortality disparities and suggests that among Luminal A breast tumors there are biological differences between AA and CAU patients. Some of these differences (CRYBB2 and PSPH) may exist from the earliest stages of tumor development, or may even precede malignancy. The online version of this article (doi: 10.1007/s10549-015-3474-4) contains supplementary material, which is available to authorized users. We acknowledge Michael Grauer, MS for reading this manuscript for clarity, and Chris Fan, PhD, for obtaining and sending the METABRIC data to MD. This study was funded by the National Institutes of Health (NIH) Cancer Control and Education Program pre-doctoral fellowship (5 R25 CA057726-23), and by the following grants from the NIH: R21 CA175783, U54 CA156735, U01 CA 179715, U01 ES 019472, P50 CA058223, K01CA172717. C.M.P is an equity stock holder, and Board of Director Member, of BioClassifier LLC and GeneCentric Diagnostics. C.M.P is also listed an inventor on a patent application for the PAM50 assay.